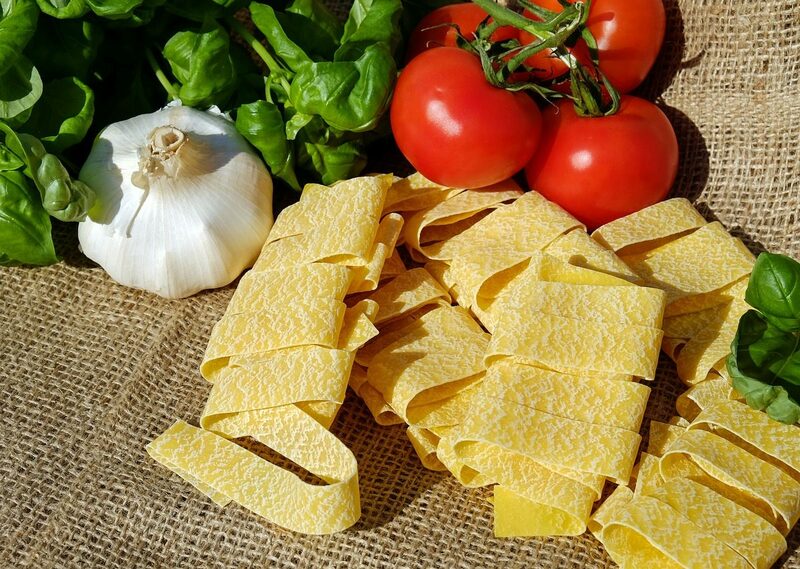 Sally Solari has a busy life running her popular restaurant in Santa Cruz, California. So when her father asks her to take in an estranged cousin who is blind and whose mother just died of an apparent overdose, Sally isn’t sure about it. But Sally and her cousin Evelyn become fast friends and begin to have some questions as to if Evelyn’s mom really overdosed, or perhaps there was something more sinister at hand – something like murder? My favorite book in the series to date! The author did a great job creating full and dynamic characters. She really gave the reader a glimpse into the world of a blind person, which was interesting. The mystery kept me engaged and I found myself guessing between several suspects until the very end. 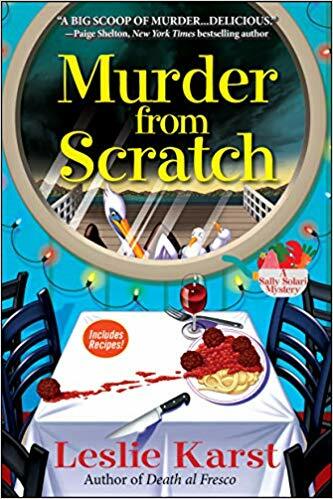 This book is a treat for any cozy mystery fan. 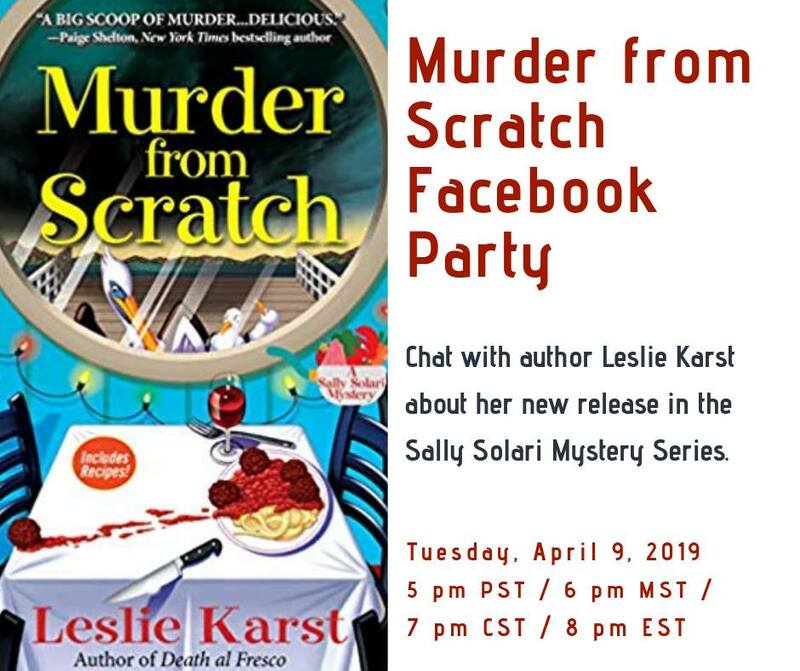 Tuesday, April 9th is Leslie’s Facebook Launch Party for this fabulous new book. Join us at 5 pm Pacific / 6 pm Mountain / 7 pm Central / 8 pm Eastern time for book talk, giveaways, and FUN. Party will take place in this Facebook Event Invite.